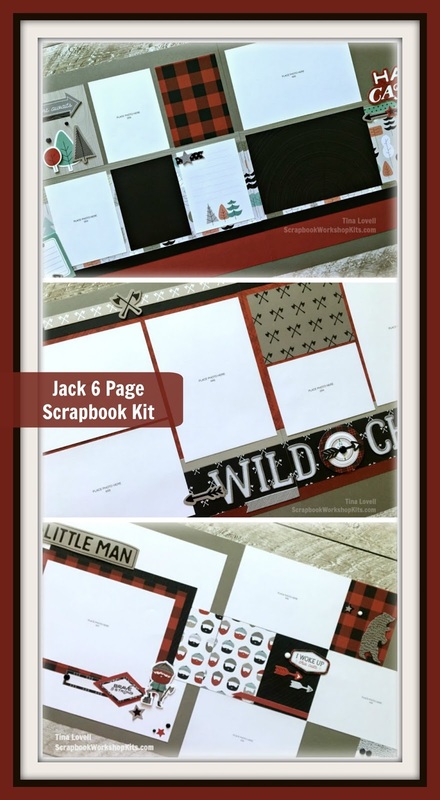 Today's kit will definitely help you get more scrapbooking done for the guys in your life, if you so choose. It is a 6 page scrapbook kit which features the "Jack" paper collection from Close To My Heart. I love this outdoorsy themed paper and am sad that it is retiring on August 31st.